MANILA – Classes supposedly started peacefully this June, but not so for the alternative schools in Mindanao, which continue to experience closure threats, displacement, and harassment. For nine months now, Lumad students and volunteers of the Alternative Learning Center for Agriculture and Livelihood Development (Alcadev) have remained at an evacuation camp in Tandag City, Surigao del Sur. A total of 130 students were displaced following last year’s killing of Alcadev’s Executive Director Emerito Samarca in Han-ayan community in Diatagon village, Lianga. “Our classroom (in Han-ayan) is better than the makeshift we built at the evacuation center, which is uncomfortable and without proper ventilation,” Alcadev Officer-in-charge Maricres Pagaran said. Pagaran told Bulatlat they continued their school operation, but had adjusted the class schedule. They also borrowed land to cultivate in Tandag City. They already conducted brigada eskwela from May 28 to 29 and had class orientation on June 6. Some centers of the Mindanao Interfaith Services Foundation Inc. (Misfi) are still in evacuation sites, while some are not being allowed to operate. A newly-built one in Monkayo, Compostela Valley for pre-school to Grade 3 students has suspended operation despite the completion of requirements from the local government unit and compliance to the building code. “When we started on June 1 with 60 students in total, the DepEd built their own tent nearby. On June 13, they pulled out all our students and said they will be giving out school supplies from the GMA Network Foundation,” said Percinita Sanchez, Misfi Executive Director. A DepEd official claimed they were unaware of the school’s operation, when they had already approved in March some 100-page documents submitted by Misfi in August 2015, Sanchez said. The director added that on June 1, soldiers came to volunteer in their brigada eskwela, which they did not allow. 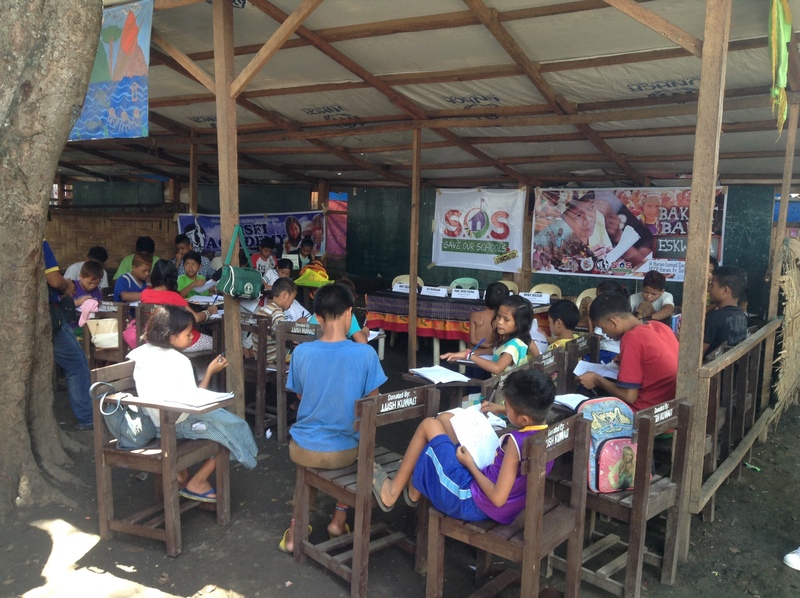 A total of 21 Lumad school centers have suspended classes and remained in evacuation camps due to the presence of paramilitary and military troops in the communities, said the Save our Schools Network (SOS) in its June 5 to 8 report. More than 1,000 students from the following schools were affected: Center for Lumad Advocacy and Services (CLANS), Salugpongan Ta’tanu Igkanugon Community Learning Center (STTICLC), Tribal Filipino Program in Surigao del Sur (Trifpss), MISFI and Alcadev. “The Armed Forces implements its last leg of the counter-insurgency campaign Oplan Bayanihan that has been disrupting the lives of the Lumad including the children,” said Rius Valle, spokesperson of SOS-Southern Mindanao Region. Alternative schools have been red-tagged and accused of being supported by the New People’s Army (NPA), Sanchez said. Volunteer teachers and students of the Misfi high school center in Kitaotao, Bukidnon were ordered to leave by the village captain in 2015 after the Army’s 8th Infantry Batallion labelled them as rebels. The mass-oriented, culturally-appropriate and scientific nature of the alternative schools’ instruction is another reason why there have been attacks, Sanchez said. “The DepEd thinks the indigenous youth will go against the government with this kind of education, even as they approved the curriculum we submitted to them,” she said. Both Alcadev and Misfi provide free alternative education to indigent students of far-flung communities through the help of donations and income-generating projects. Volunteers teach communal and sustainable farming practices, health and sanitation, and history of the indigenous people. “We also prepare them to become self-sufficient leaders. We want them to love their land and develop it for the benefit of the next generations, so they will not think of going abroad,” Pagaran said. Despite these issues with the government and military, development workers and volunteer teachers of Alcadev and Misfi never stopped in their advocacy to educate the indigenous people. 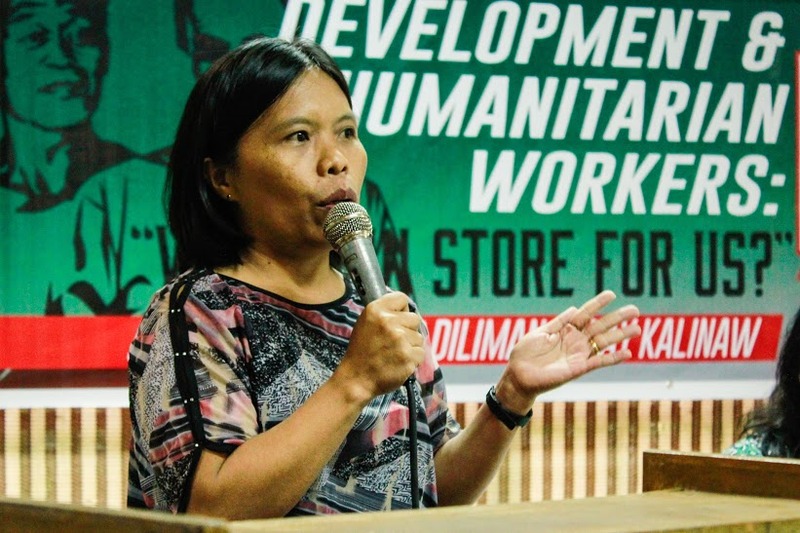 “There are times when you feel afraid of what may happen, but you will rather think of who will stand for the institution other than the Lumád,” said Pagaran, who is on her 11th year with Alcadev. The school has operated for almost 12 years now and has been recognized by DepEd. Sanchez, meanwhile, has been with the Misfi for six years now. The school was founded in 1984 and currently has 27 centers, seven of which cater to Grades 7 to 9. “Most of the volunteer teachers wanted to pay back to the school, since they have been scholars themselves. They wanted to become part of change,” she said. With just days left before President-elect Rodrigo Duterte assumes office, Pagaran and Sanchez hoped for the safety of development workers and alternative schools in the next administration. There must be subsidy for the operations of charity schools, and these must be recognized as partners of government in the promise of development, Sanchez said. “The state never promoted the well-being of students, as it wants them to be meek and subservient. The K to 12 program was even established to promote semi-skilled Filipino workers,” she said.